A complete Point of Sale System to be used with your own software. This package includes a refurbished computer system and monitor. Includes a 12 month return to base warranty on all new components. 30 day warranty on refurbished items. Upgrades are available. Refurbished Computer System: Acer, HP, Lenovo or similar system box with i5 2300 2.80GHz Intel processor 4GB RAM 320GB Hard Drive, DVDRW, 6x USB, 2x PS2, VGA, LAN, Keyboard & Mouse. Windows 7Pro licence. No POS Software supplied. Refurbished Monitor: 17" LCD Monitor (Non Touch) 1024x768 resolution (minimum). Often customers choose to upgrade this to a New 15" Touch screen. New Printer: MPOS265 80mm Thermal Receipt Printer. This printer comes with it's own power supply, USB, serial cable and driver disc. It has a USB/Serial/LAN interface and can be connected by any of these methods. 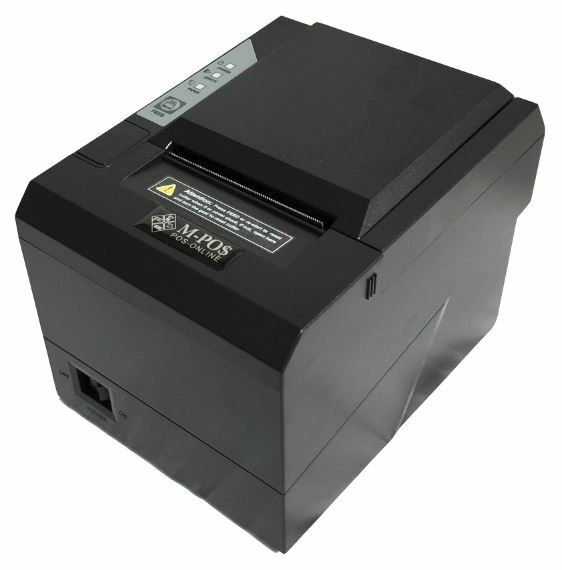 The RJ12 cable can control the opening of the cash drawer & is located on the back of the printer. New Cash drawer: The MPOS410A is a heavy duty cash drawer with 5 note and 8 coin compartments along with a lift out coin tray for EFTPOS or other dockets and large notes. The cash drawer has an RJ12 cable made to connect to receipt printers. 12 Months return to base warranty applies to all new componets. 30 days warranty applies to refurbished system box and 17" standard monitor. Click the button below to add the Budget Point of Sale System to your wish list.